​PARIS, LAMAR COUNTY – The town is beginning to provide businesses with tools to become successful in an increasingly competitive environment. 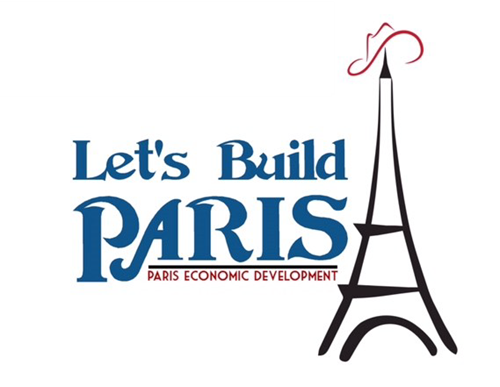 Paris is serving an important function of being close enough to the continually growing Dallas-Fort Worth metroplex to enjoy most of its benefits while also having low development costs. Build-to-Suit site at 2305 NW Loop 286: great option for a business looking for an affordable building with an expedient development process. Paris Municipal Airport has roughly 125 acres of industrial-zoned land that would provide immediate access to aviation resources. There are two buildings available for lease on South Church Street: a 30,000-sf building located on 2460 South Church St., as well as a 48,000-sf building located at 2470 South Church St.
Properties in Downtown will provide businesses with an excellent location in close proximity to some of the restaurants and retail establishments. ​​Want more information on Paris, Tex. click here!